desserts into one: cheesecake and frozen yogurt. raspberries or peaches. The possibilities are endless! In medium bowl set aside graham crackers. Leave out cream cheese until soft. In processor combine cream cheese, sugar, milk, and yogurt until smooth. Add to processor mangoes until just combined, leaving some chunks of mango. 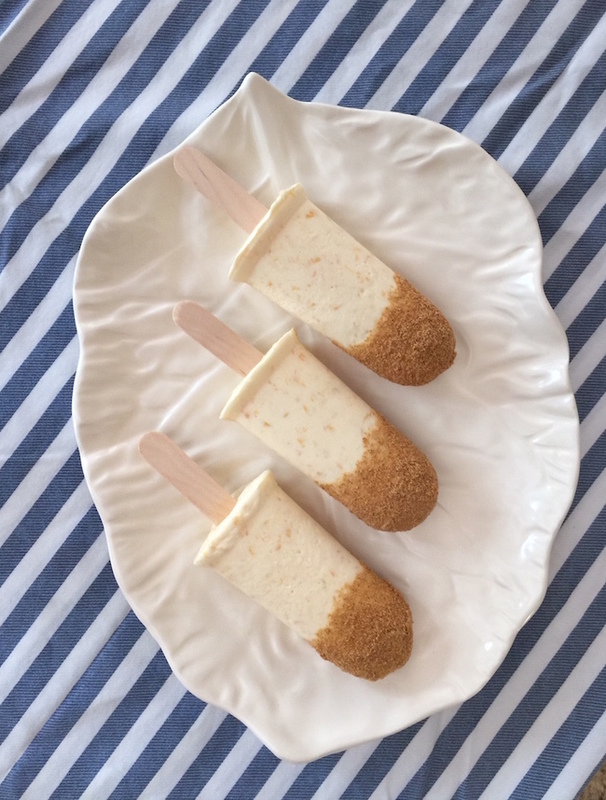 Scoop mixture evenly into popsicle molds. Add popsicle sticks to center of mold. Place into freezer until fully frozen at least 4 hours. 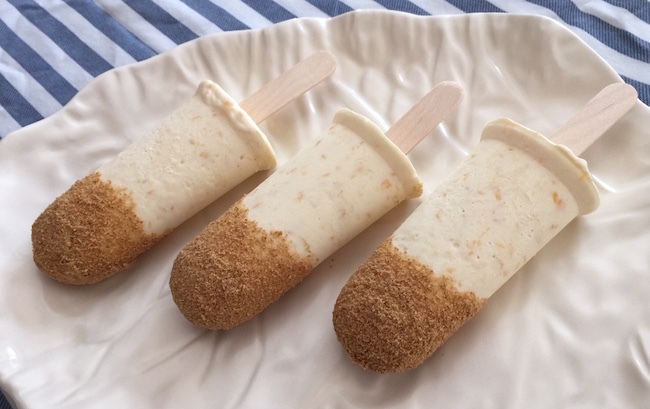 popsicle with water and dunk it in the bowl of crumbs to evenly cover the top of the popsicle. You can eat it now or place them flat on a baking sheet in the freezer to enjoy at a later date. will make a very tasty, low calorie treat! 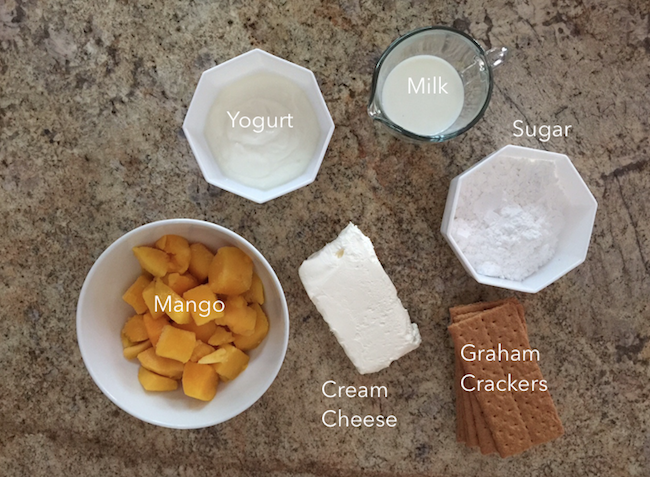 In medium bowl set aside graham crackers. Leave out cream cheese until soft. In processor combine cream cheese, sugar, milk, and yogurt until smooth. Add to processor mangoes until just combined, leaving some chunks of mango. 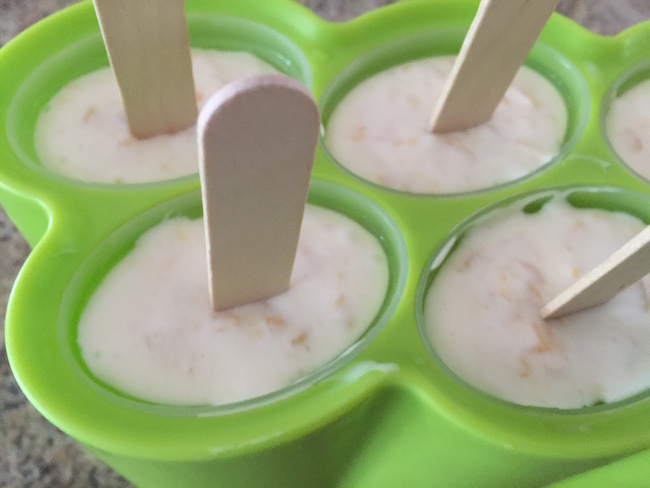 Scoop mixture evenly into popsicle molds. Add popsicle sticks to center of mold. Place into freezer until fully frozen at least 4 hours. Remove molds from freezer. Run hot water over molds to loosen popsicle. 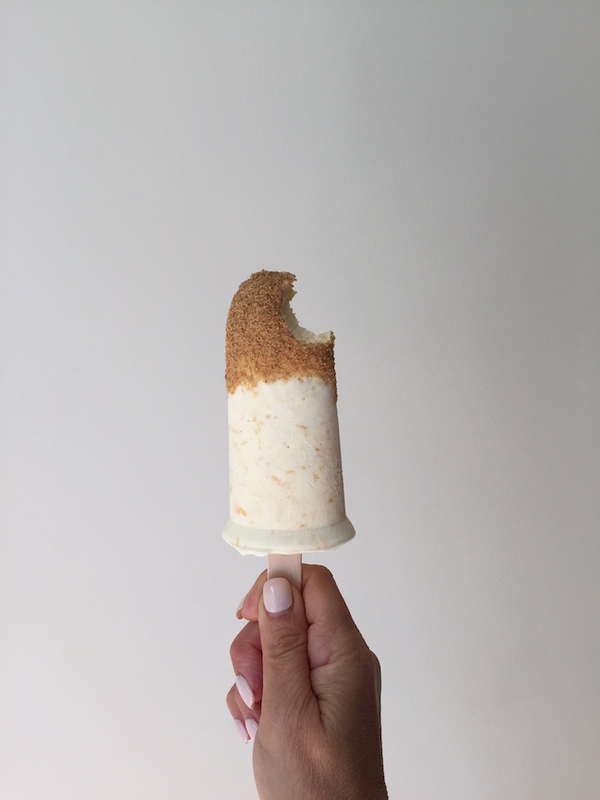 Wet the end of the popsicle with water and dunk it in the bowl of crumbs to evenly cover the top of the popsicle. You can eat it now or place them flat on a baking sheet in the freezer to enjoy at a later date. For a lighter version substitute low-fat cream cheese, skim milk and non-fat yogurt. 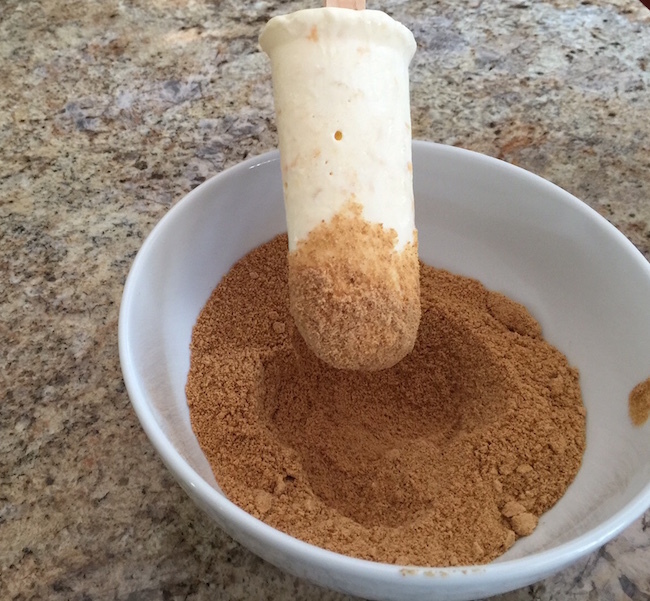 This version will make a very tasty, low calorie treat! For another version substitute mangoes with a seasonal fruit like strawberries, blueberries, raspberries or peaches. The possibilities are endless!